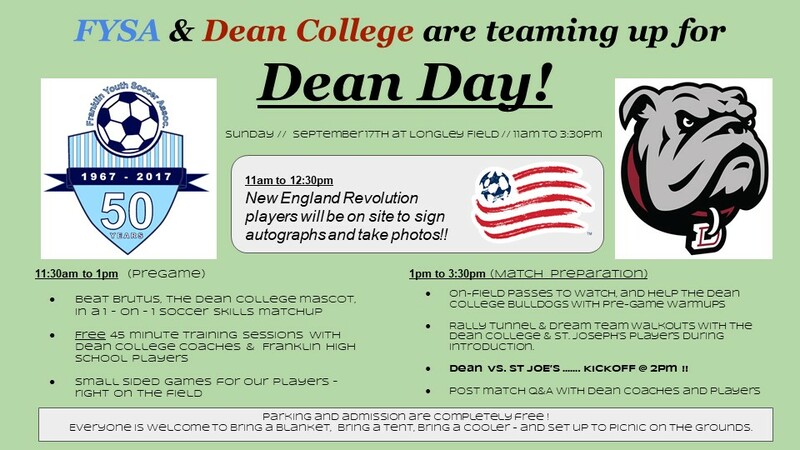 The Dean College coaches and players are going to run some short training sessions for our kids before their game at 2:00 PM. Additionally, New England Revolution players will be there from 11-12:30 to sign autographs and take pictures. Rally Tunnel and Dream team walkouts with the Dean College and St. Joseph's players during introduction. Dean VS. St Joe's ……. KICKOFF @ 2: PM ! !